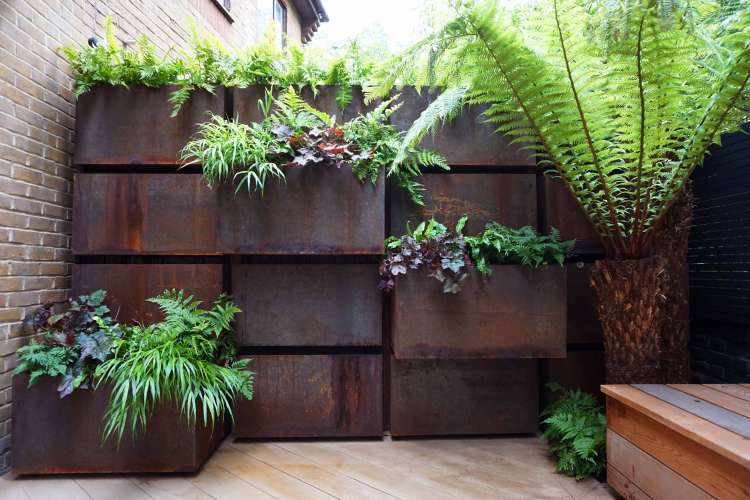 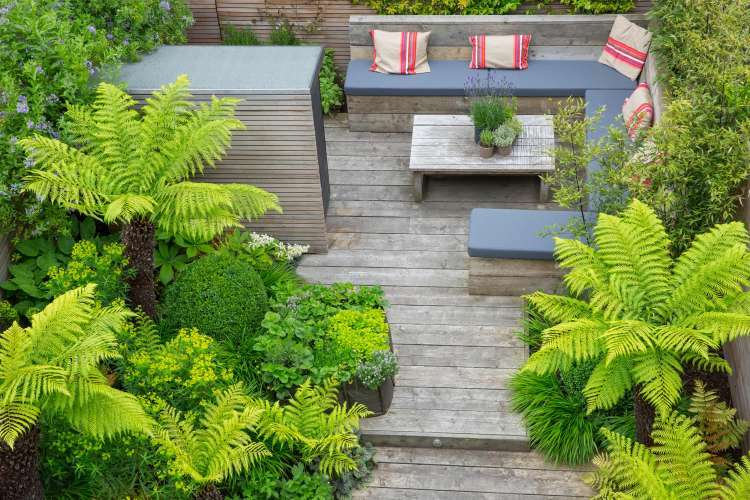 Our client’s brief was simple, to create a garden that felt modern, yet immersed in foliage and specifically they wanted to include tree ferns. 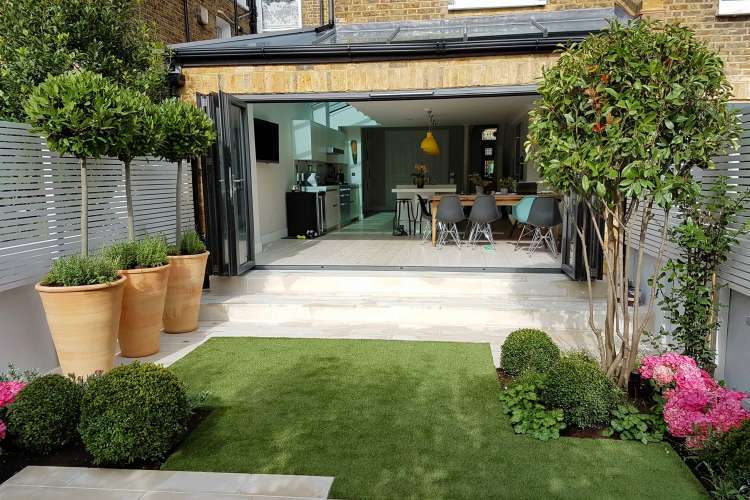 The space needed to have a good sized entertaining space and provide a stunning canvas of year round, visual impact from the open plan living and kitchen area. 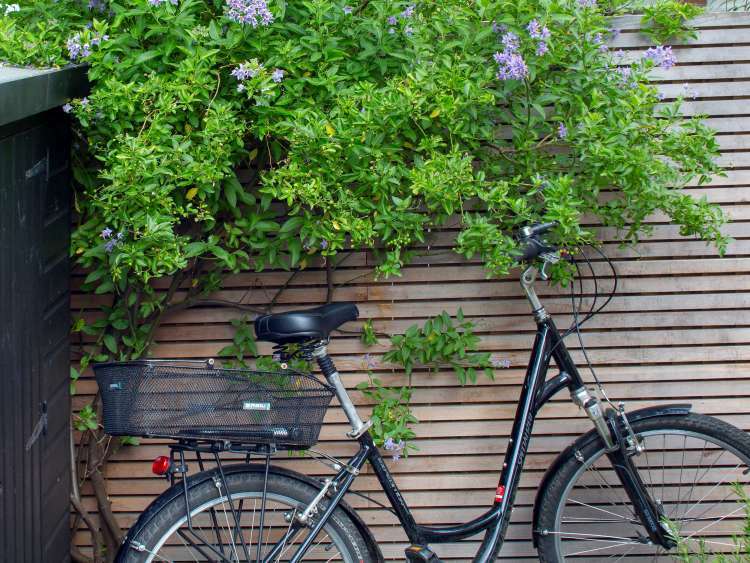 Storage for two bikes was a must. 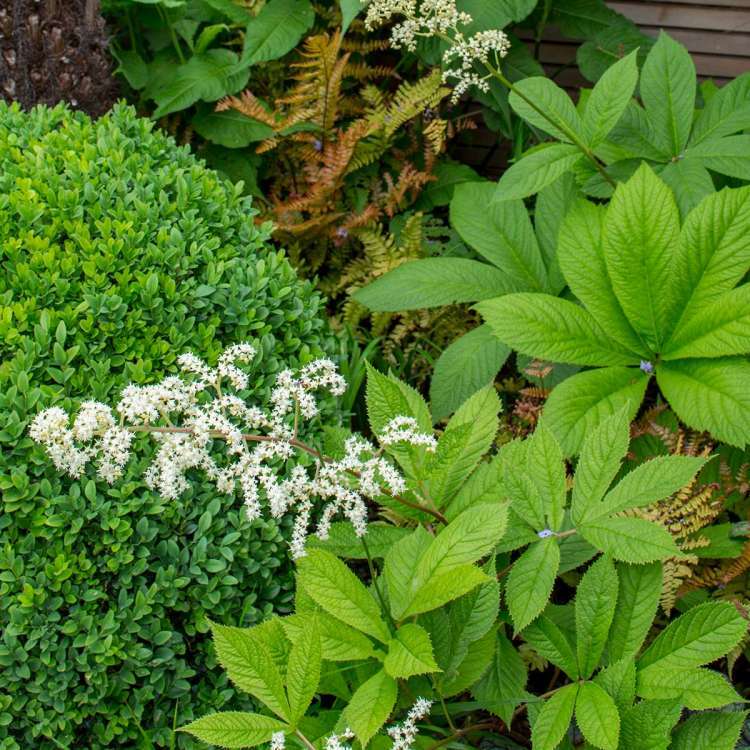 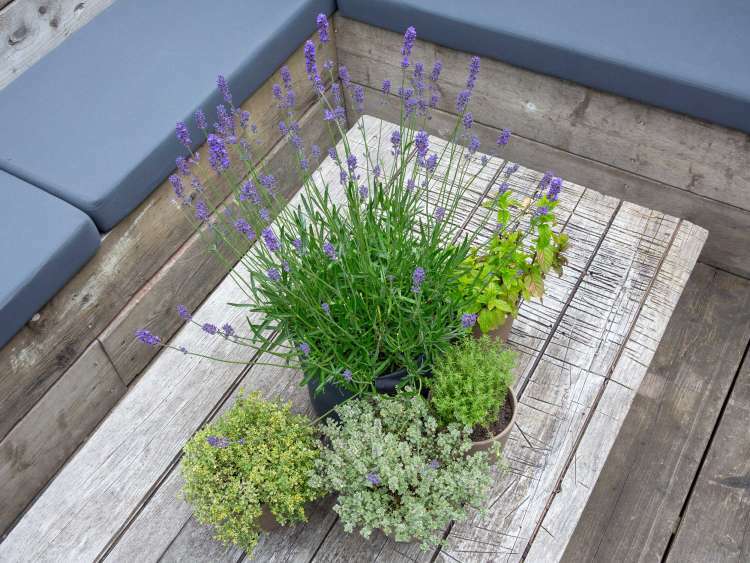 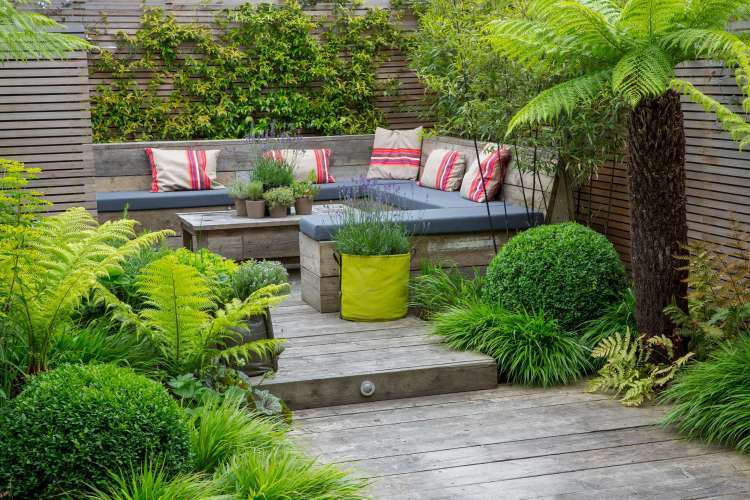 For the layout of the garden, the design uses approximately 60% of hard surface and 40% planting coverage and is laid out as a series of deck ‘pads’ varying in height to create a visual and physical journey through the garden. 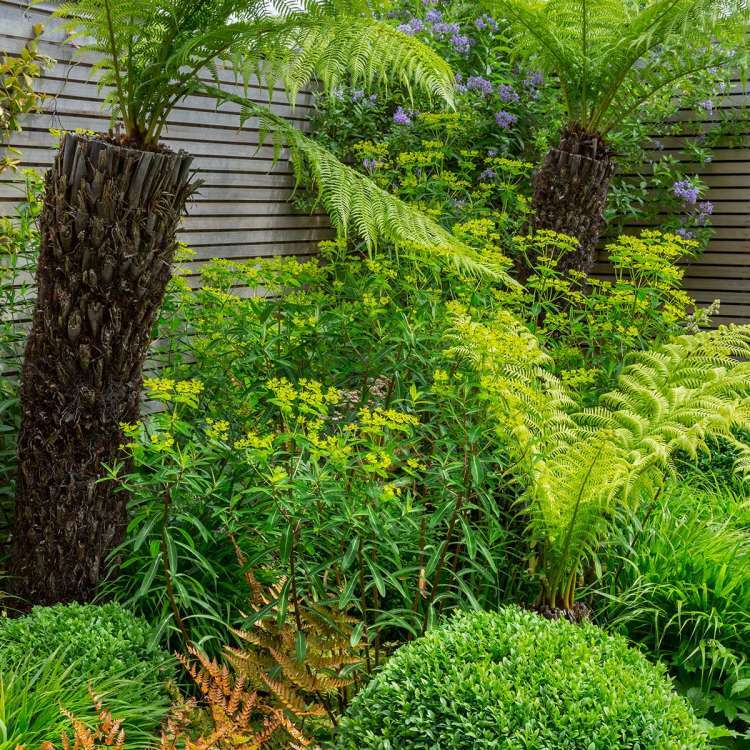 Varying sizes and heights of the tree ferns, Dicksonia Antartica, are used to accentuate the effect of depth through the space. 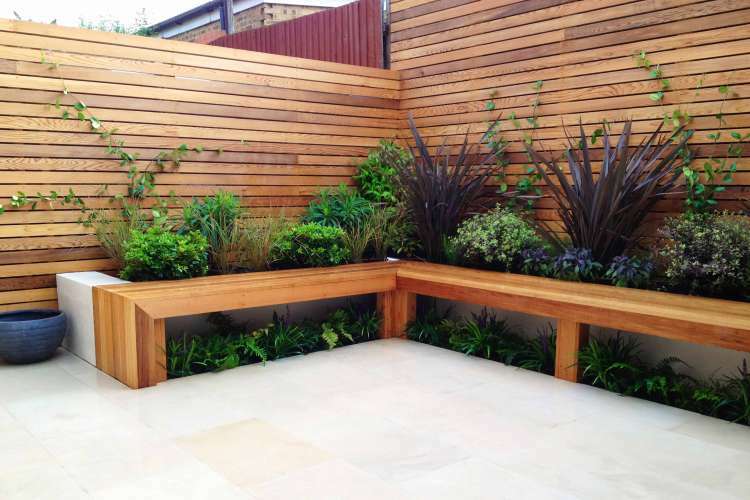 Natural finish Western Red Cedar battens age gracefully to a subtle grey, to give a mellow contemporary back drop to the dramatic planting. 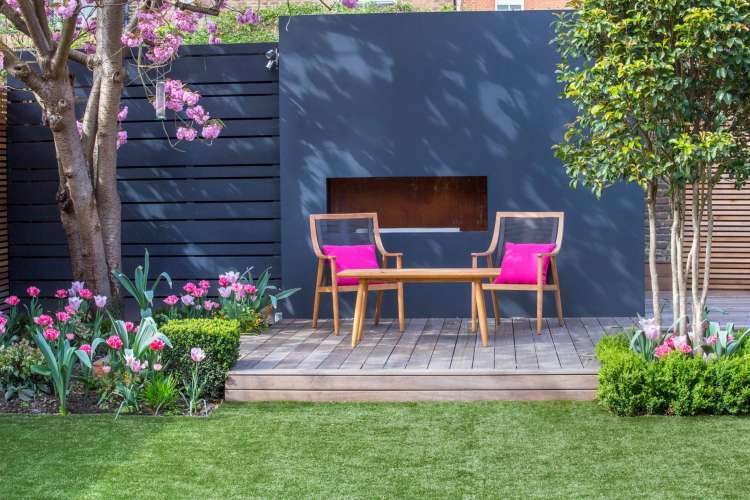 A practical bike storage unit is hidden behind a horizontal timber screen to seamlessly blend into the contemporary fence cladding around the garden. 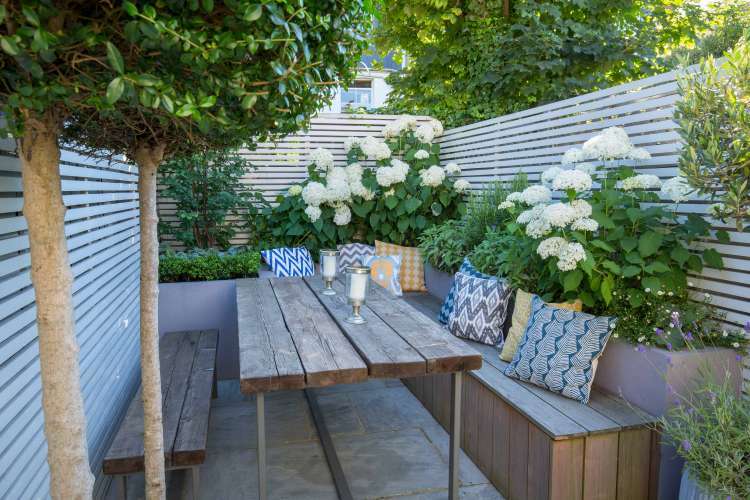 Reclaimed scaffold boards offer strong geometric lines for the decking and seating, whilst providing age and character to the scheme. 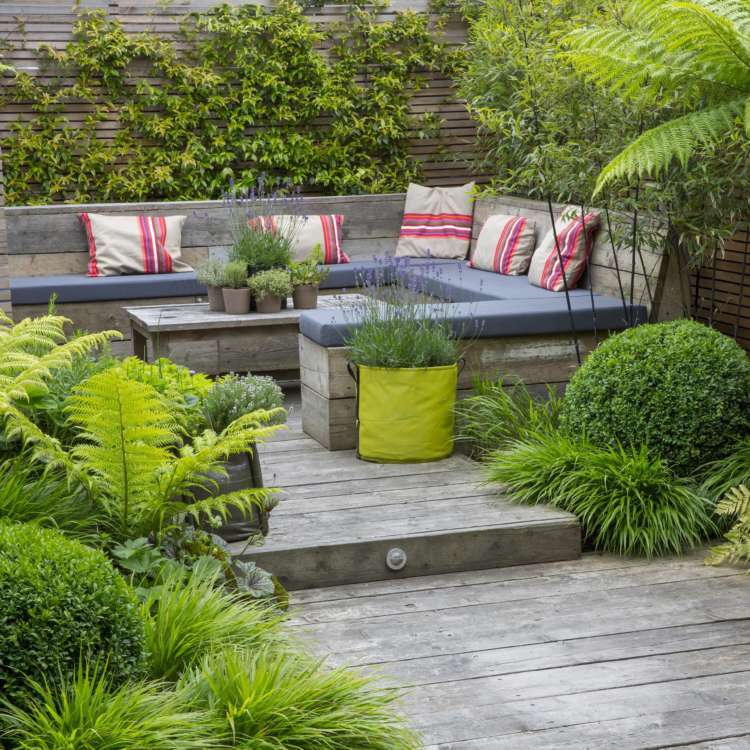 This previously blank space now offers an outdoor extension of the home and a practical garden for entertaining as well as storage. 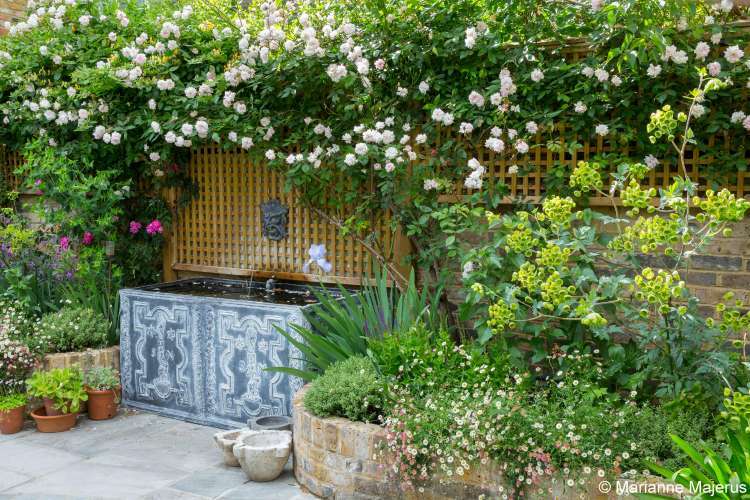 The garden is filled with atmosphere and even from the front door as you glimpse through the house you are drawn to discover the garden. 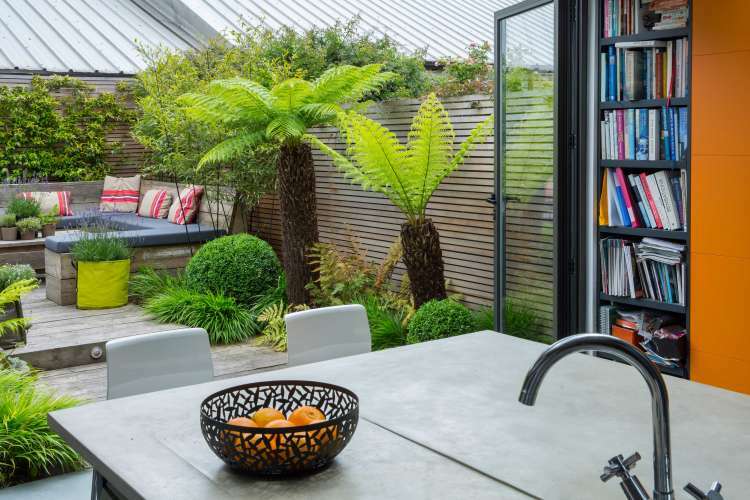 The impact of the foliage provides a stunning back drop to the modern extension and glass doors of the kitchen all year round, in both the day time, as gentle breezes animate the planting and at night, when soft lighting shows off the dramatic canopies of the tree ferns. 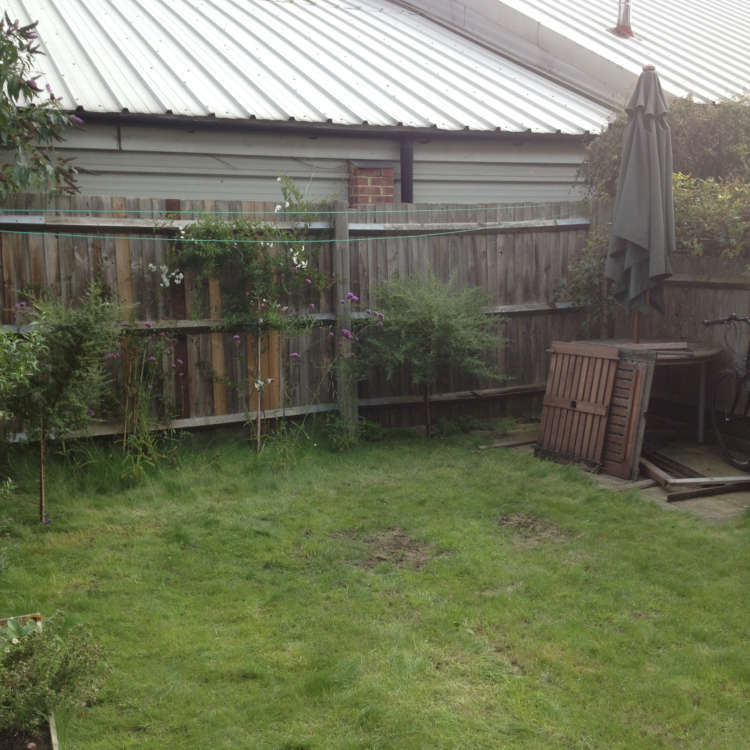 I am thrilled with the garden. 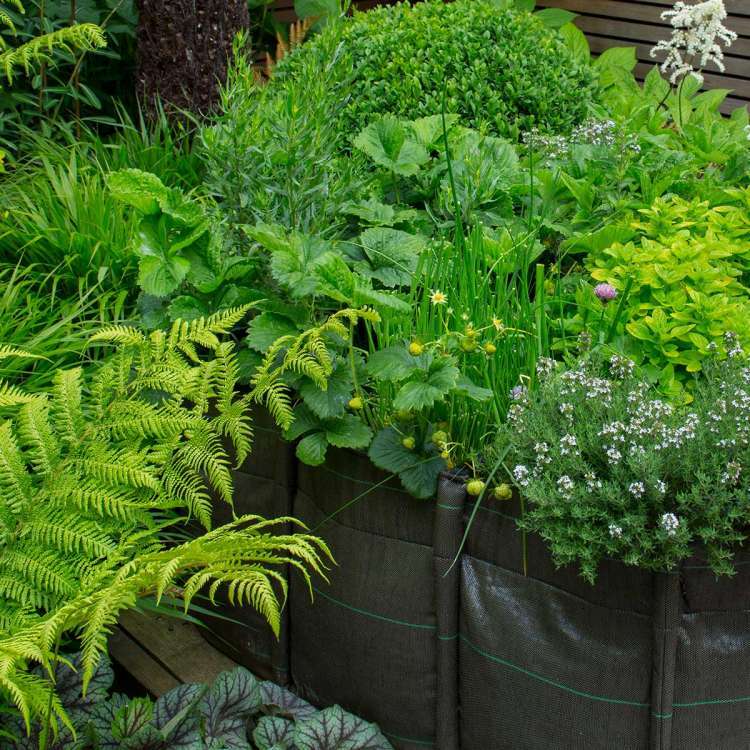 It’s nice every day of the year, even when it’s raining or windy.